Osama’s youngest son, Hamza, is believed to have escaped the compound where his terror fiend dad was killed by SEALs. CROWN PRINCE OF TERROR? 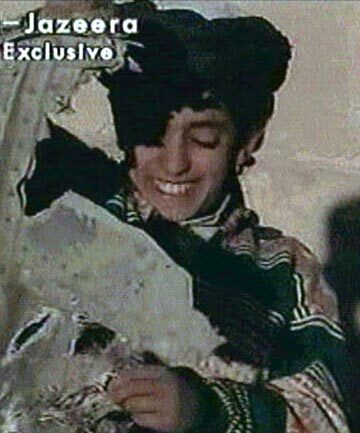 : An undated Al Jazeera television picture purportedly shows Hamza bin Laden, one of the sons of Osama bin Laden, displaying what the Taliban claimed is wreckage from a US helicopter near Ghazni. President Obama said no Americans were harmed in the operation. Three adult males were also killed in the raid, including one of bin Laden’s sons, whom officials did not name. One of bin Laden’s sons, Hamza, is a senior member of al-Qaida. U.S. officials also said one woman was killed when she was used as a shield by a male combatant, and two other women were injured.